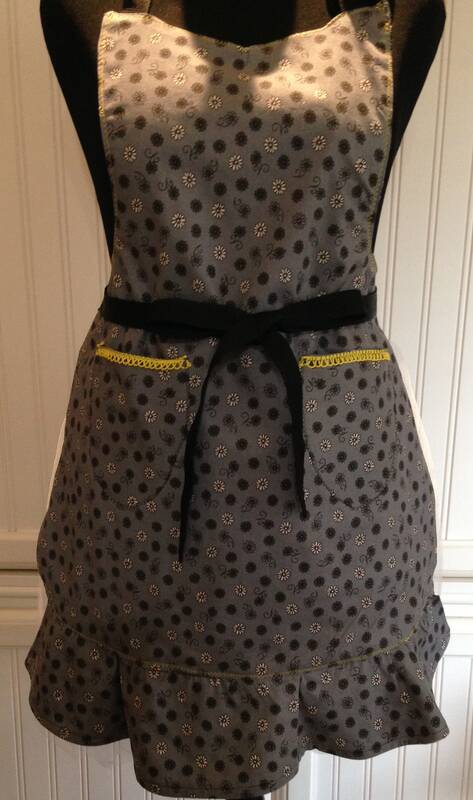 This vintage style apron features a beautiful black with a white tiny print and reverses to a gray and black flower print. 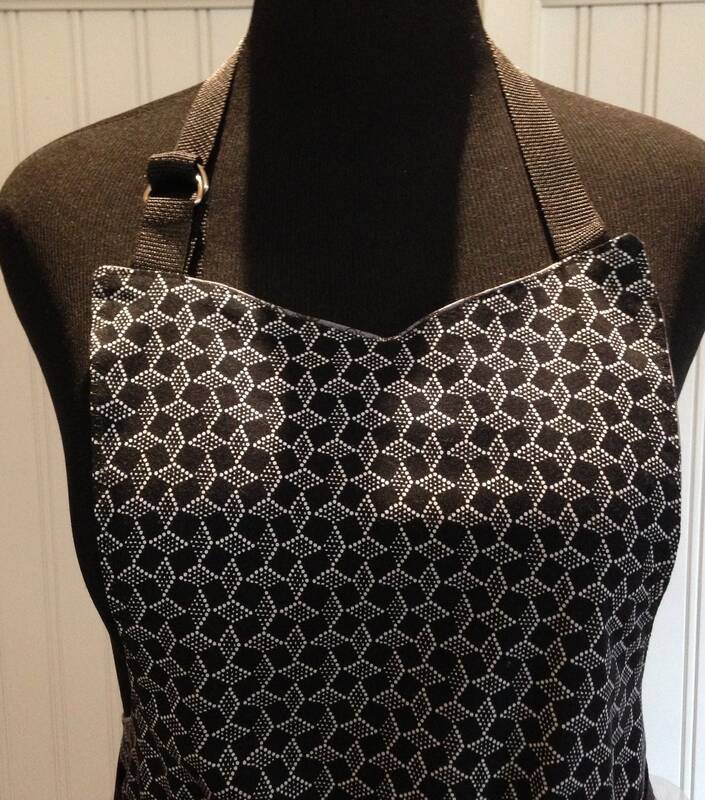 The generous waist ties and the neck strap are black webbing. 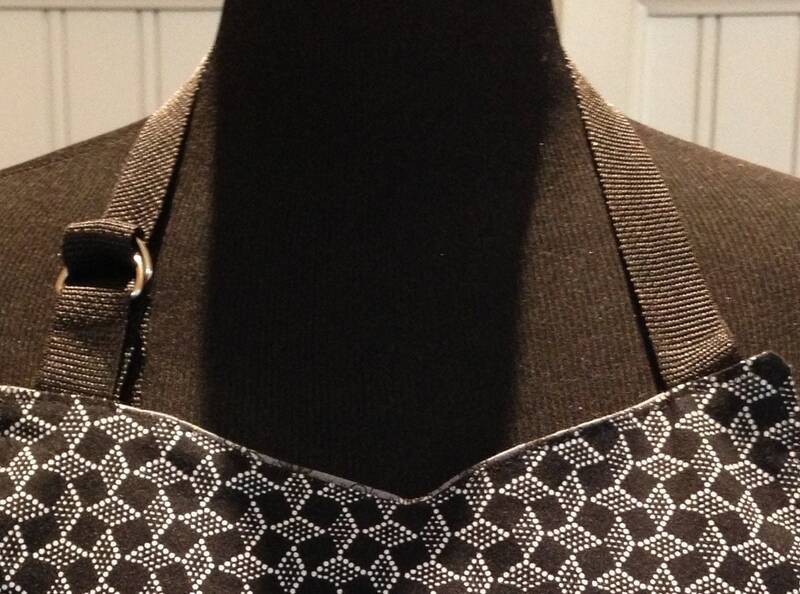 The neck strap is adjustable using the D ring. 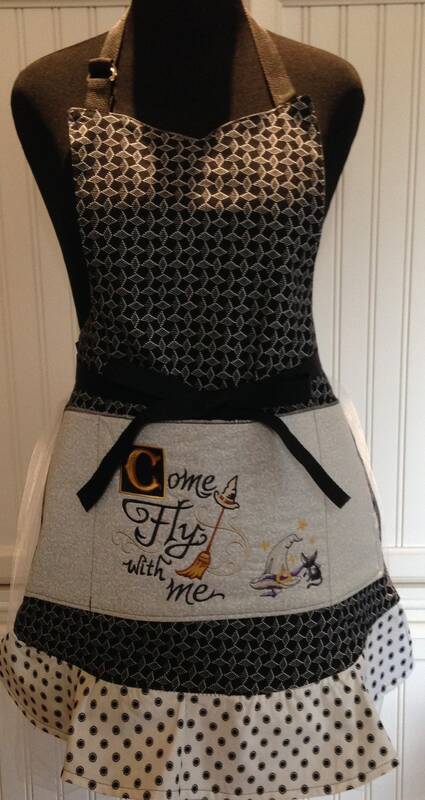 This allows you to have a more custom fit and reverse it easily. 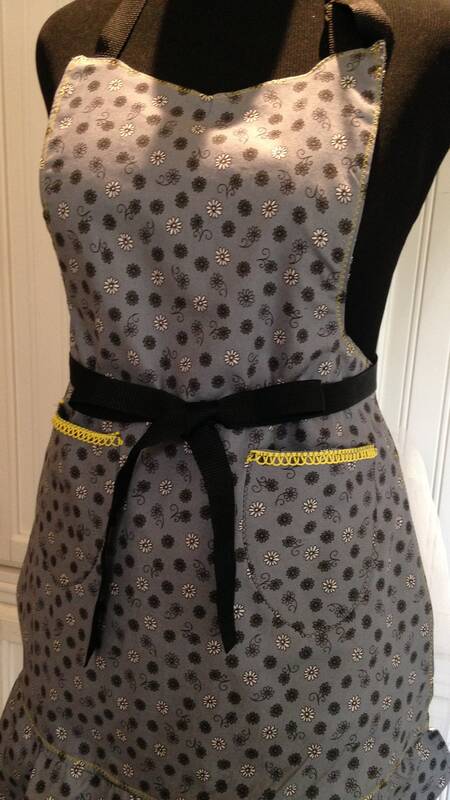 Both sides have a complimentary gathered flounce at the bottom hem. 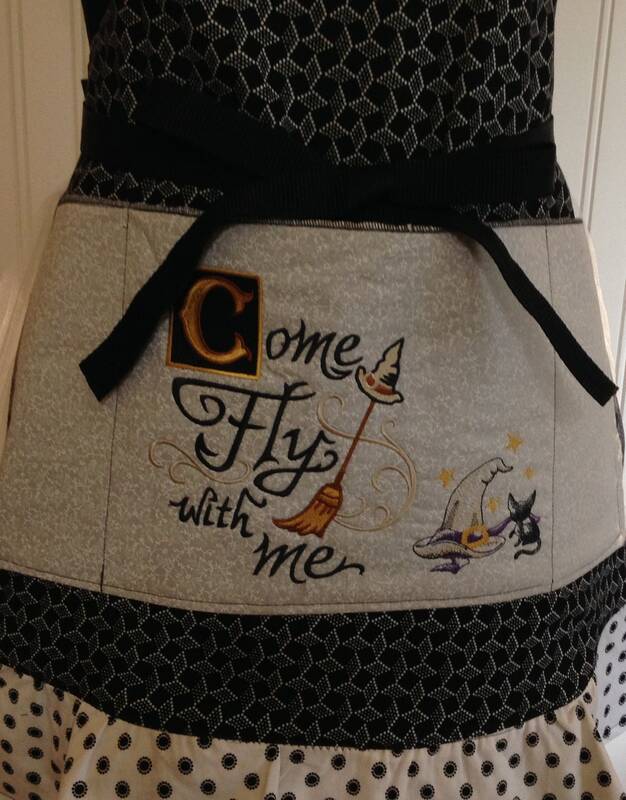 The black side if the apron has a large three compartment pocket embroidered with a Halloween come fly with me quote a black hat and cat. 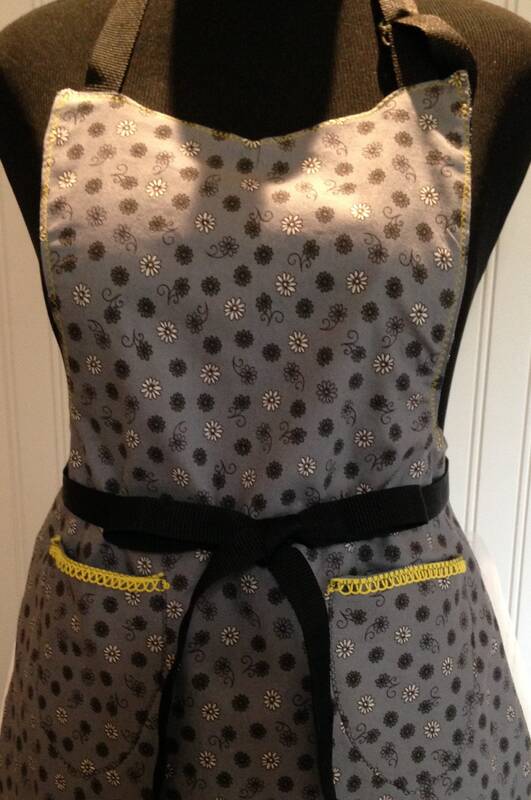 The flowered side of the apron is trimmed with bright yellow stitching and pocket trim. 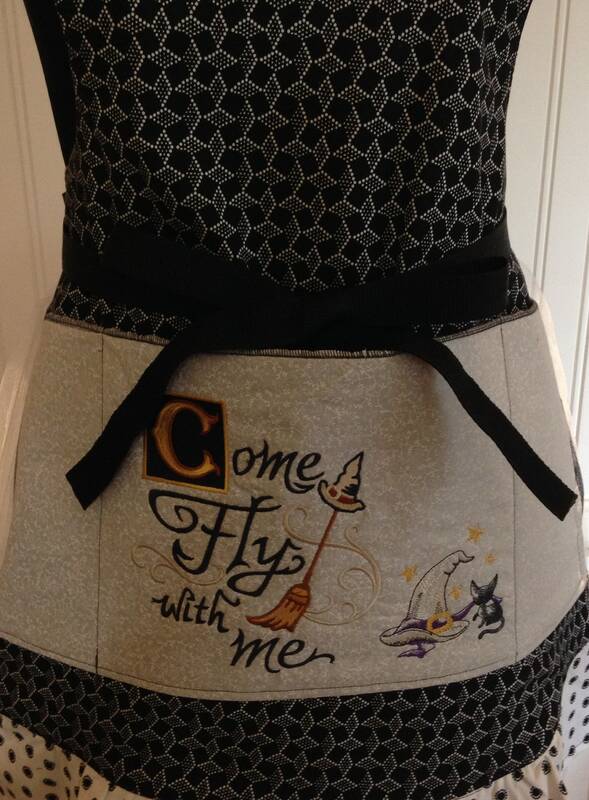 This is a unique beautiful apron. 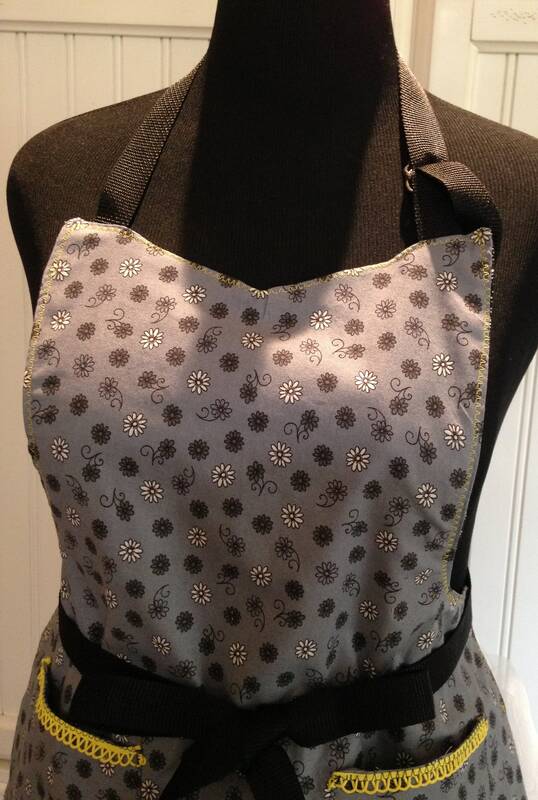 Fully washable soft cotton fabric make this a practical as well as beautiful choice.